Viacom has acquired VidCon, the annual conference that celebrates online video and the creators that make it. Terms of the deal were not disclosed, although VidCon will operate as an independent subsidiary of Viacom, with CEO Jim Louderback reporting to Viacom Digital Studios President Kelly Day, and Executive Vice President of multiplatform strategy and operations Jason Jordan. 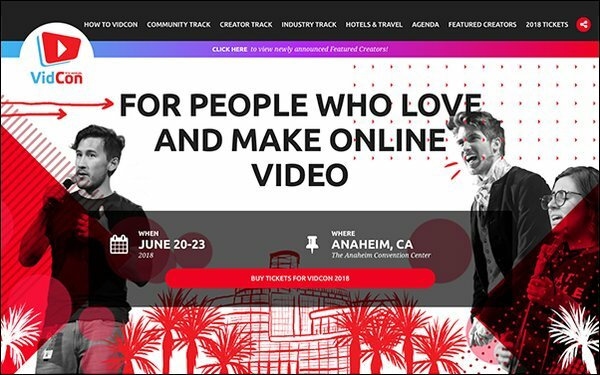 In a statement, the company said the acquisition of VidCon "will accelerate its participation and investment in next-generation platforms and expand its focus on live events," which include Comedy Central's Clusterfest and The BET Experience. VidCon hosts its multi-day annual conference each year in Anaheim, California, drawing more than 30,000 attendees and 80 sponsors. Viacom has been one of the conference's sponsors in recent years. VidCon was founded in 2010 by brothers and YouTube creators Hank and John Green, and has become the de facto conference celebrating YouTube creators, as well as video creators from other platforms. Louderback joined the company as CEO last year.